As I sit down to interview Jeff Vondenkamp over beers in Portage Brewing Company’s taproom in Walker, he deflects my first question. Before I get started, he wants to know about my background and what led me to write for The Growler. Curiosity seems to be a big motivator for Jeff. While a first impression might suggest a restless nature, as our discussion continues it’s clear he’s both thoughtful and deliberate. 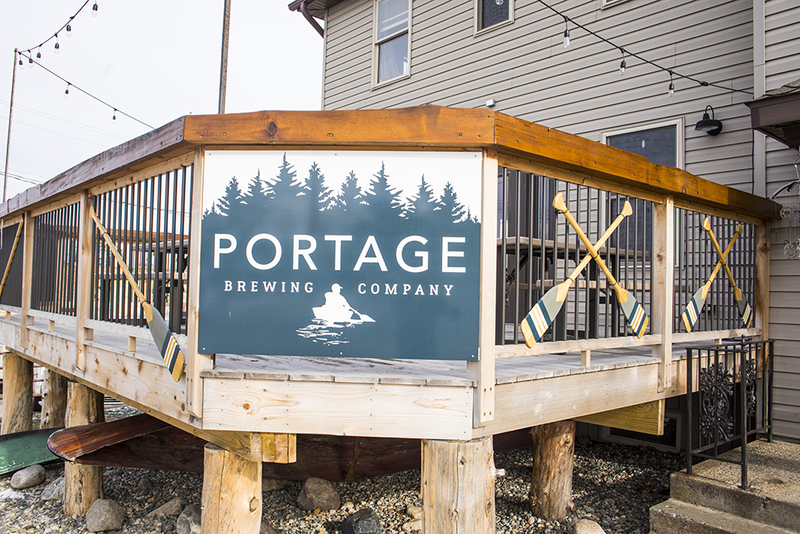 A circuitous route led to his current role as co-founder and head brewer at Portage. 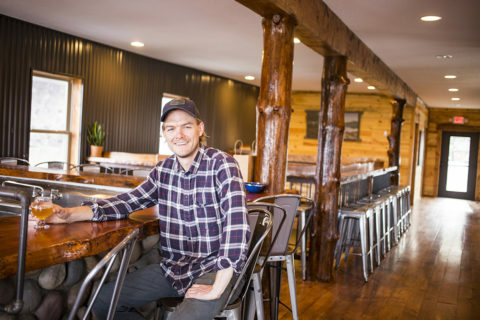 Over the last several years, Jeff helped build a Bay Area startup, cycled through remote areas of Southeast Asia, and launched a brewery in the midst of the Chippewa National Forest. A common thread ties each leg of the journey together—the Elk River native is constantly seeking information and knowledge. He appears to view the world as a series of questions waiting to be answered and problems waiting to be solved. He seems most happy when rising up to meet a challenge. Jeff credits his experiences outside of Minnesota, and especially abroad, with expanding his worldview. “It’s nice to have that lens when you come back. There’s so much you can do outside of the corporate structure,” he says. Jeff knows something about corporate structure. He got in at the ground level with Lyft, the popular rideshare app, back in 2014. He worked at the company’s headquarters in San Francisco in an operations strategy role to solve complex problems related to driver supply. After leaving Lyft, Jeff spent six months traveling alone throughout remote areas of Southeast Asia (he wrote about some of his adventures for The Growler). It was a transformative experience for him. As he contemplated his return to the States, he thought about returning to the Bay Area but decided a tech job wouldn’t offer the kind of connection he was seeing firsthand in these small towns. While in Nepal, Jeff’s dad approached him with the idea of opening a brewery in Walker, Minnesota. Jeff’s family has owned a cabin in the Walker area for about 20 years. When Leech Lake Brewing Company shuttered in 2015, his father, Mark Vondenkamp, and Joe Arndt, a co-founder of Portage, saw an opportunity. The closest brewery, Bemidji Brewing Company, was a 45-minute drive. The tiny community of Walker is home to less than 1,000 people. 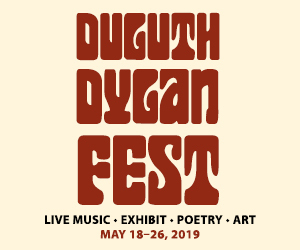 It’s a bit of an outpost, located in north-central Minnesota along the southwestern portion of Leech Lake, the third largest lake in the state. But the area’s lake culture and outdoor recreational infrastructure draw tourists from throughout the state and beyond, particularly in the summer. Quirky events like the International Eelpout Festival in February attract more than 10,000 visitors even in winter. Jeff, Mark, and Joe sensed that Walker was a good market for a destination craft brewery. They assembled a team of investors, made up of family. 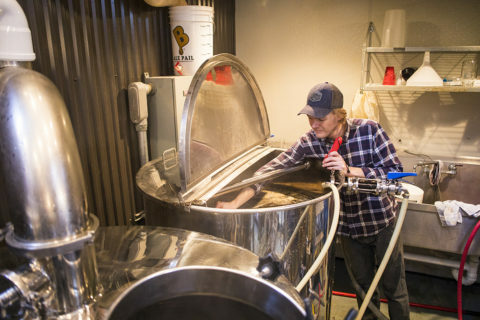 Jeff had been homebrewing since 2009, so he took on the role of head brewer. The team secured a prime downtown location, in an old building that used to be Walker’s hospital. The renovations and brewery build-out took about a year to complete. The timing was fortuitous because Jeff’s high school friend Mat Waddell was opening Wild Mind Artisan Ales in Minneapolis at the time. 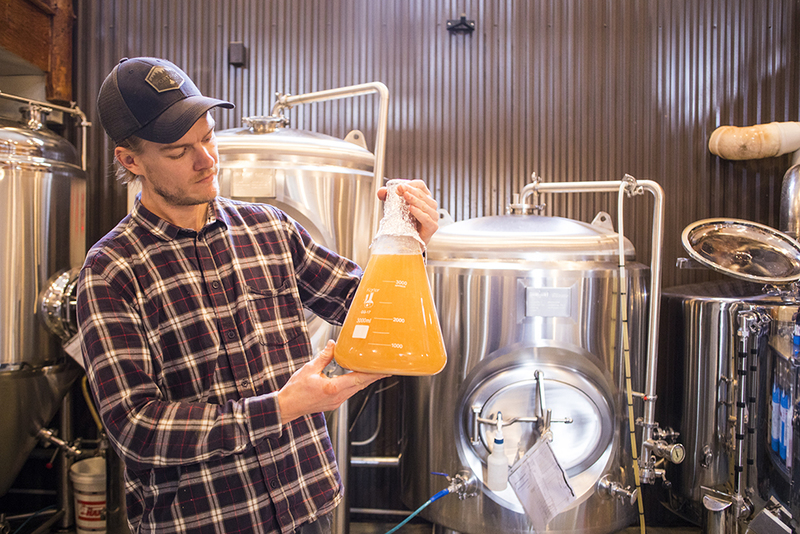 Jeff inserted himself into his friend’s startup, channeling the business acumen he learned at Lyft and his interest in brewing to help the brewhouse operate and define brand strategies. He also learned a lot about brewing. 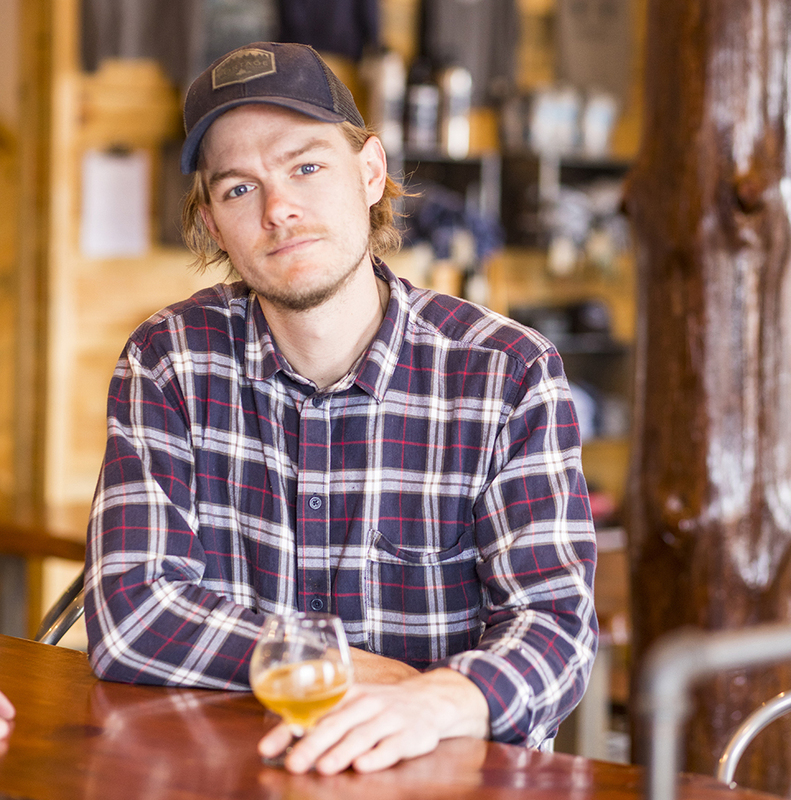 According to Jeff, the year spent at Wild Mind was a requirement for him to make the leap from homebrewer to head brewer. Portage’s beer leans toward the experimental. Jeff draws this inspiration from breweries like Wild Mind, Junkyard in Moorhead, Woods Beer in San Francisco, and Omnipollo, a gypsy brewery based in Sweden that’s pushing the boundaries of what is possible and logically palatable in beer. “They’re doing things you’d never expect in beer,” he says. One of Omnipollo’s latest creations involved adding burger buns and fries to the mash tun. Jeff wants to educate people about beer, which he says is hard to do if you’re brewing the same four flagships all the time. “We do a constant rotation. 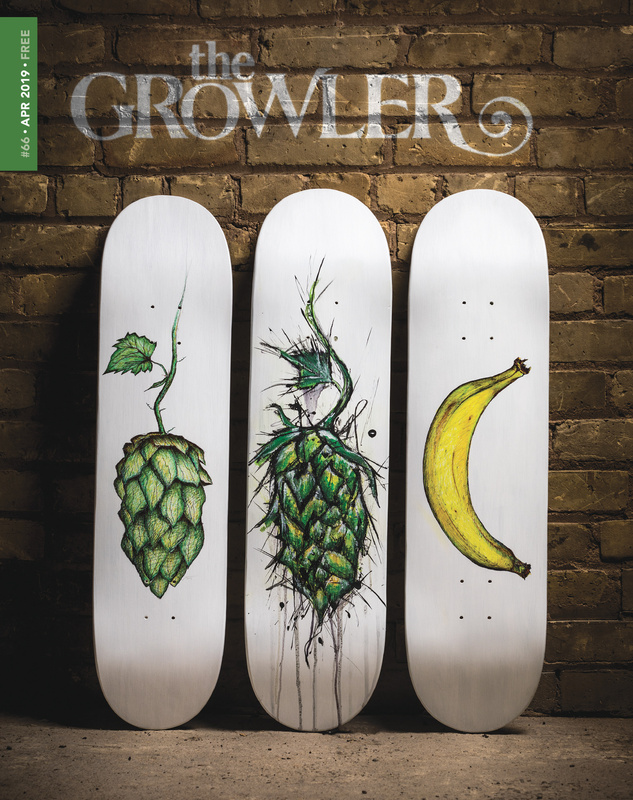 I always try to guarantee malty, hoppy, and funky beers at any given time,” he says. The funk comes from a yeast strain that Jeff developed. “My wheelhouse is actually wild yeast. That’s the thing we’ve been known for the most,” he says. When he goes out hiking or biking in the area, Jeff brings sanitized centrifuge tubes to harvest yeast along the trail. 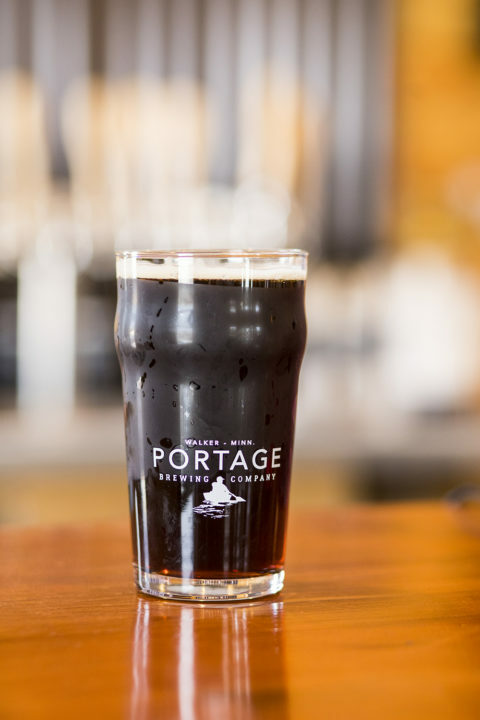 About half of Portage’s beers use their house strain of yeast. 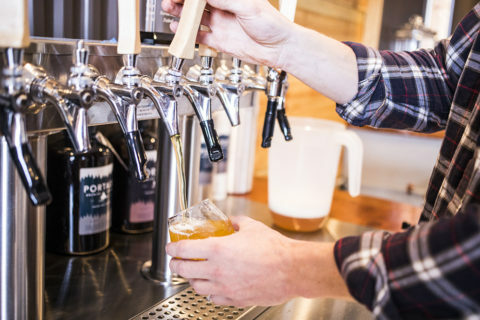 Still, he acknowledges the need to balance the experimentation with approachable “bridge beers.” Portage is doing a series of “SMaSH” beers that allow drinkers to taste a single malt and single hop variety. 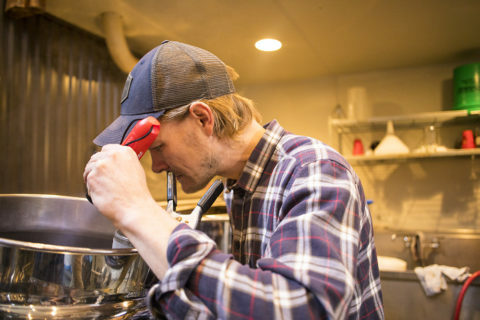 He emphasizes the importance of small batches and having a local mindset. 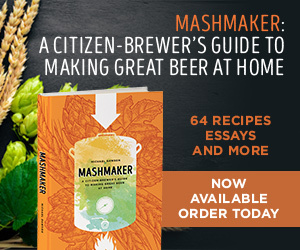 “My base philosophy for brewing is that beer needs to be consumed really fresh. 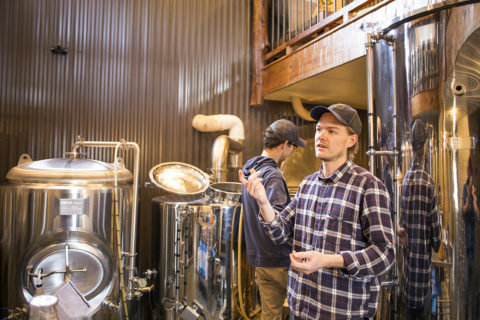 In 20 years, I see there being a lot of local breweries about our size just kind of servicing a small area, similar to what you see in Europe,” he says. Portage’s investors entrusted Jeff with a lot of creative liberty. 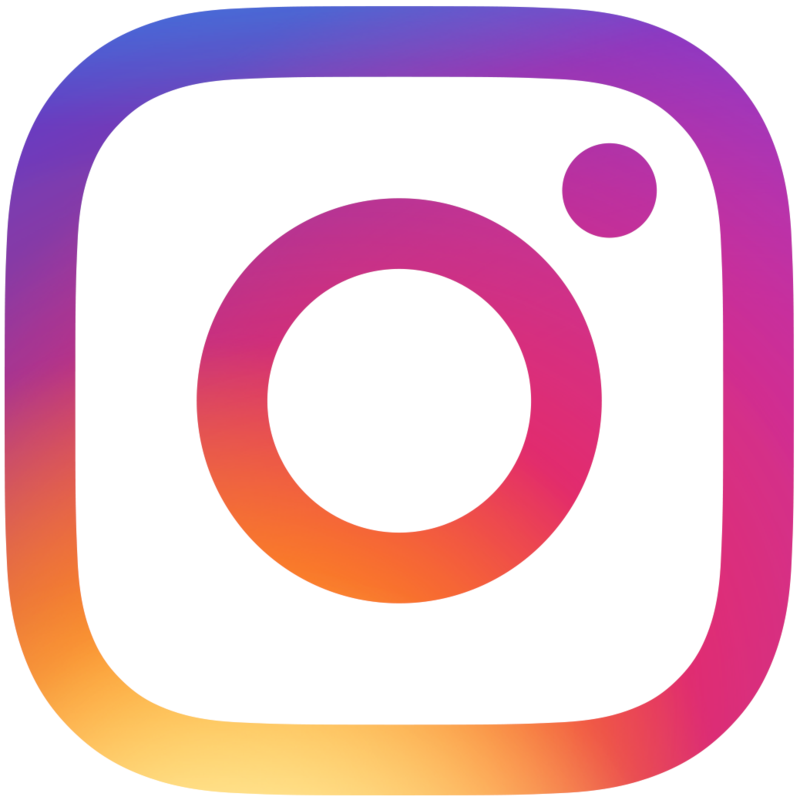 In addition to brewing, he took charge of the brewery’s taproom design, branding, and marketing. Uninterested in a clichéd northwoods cabin theme, he considered the taproom a fun design challenge. “We are an industrial-style business. It looks weird to go from rough cut wood to stainless steel,” he asserts. The taproom has a mix of tin accents and metal chairs to break things up. A blow down in the area last year provided all the wood needed for the space—from the single slab bar to the tables, paneling, and wainscoting. It was important to Jeff that the taproom was a place where locals felt comfortable, for it to serve as a community hub. Local artwork lines the walls and the brewery hosts music and events like trivia nights and yoga.